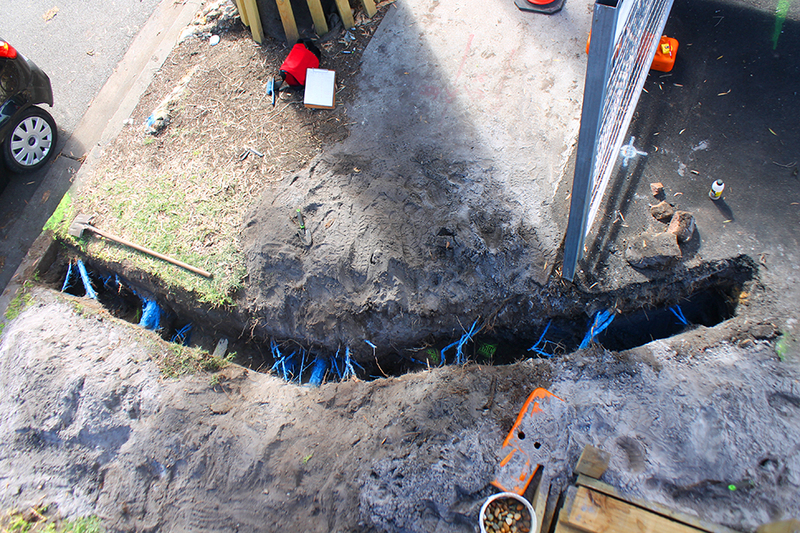 Root mapping is the process of investigating the presence of subsurface tree roots in a specific location. We obtain this information through several methods including vacuum excavation, Ground Penetrating Radar however we mostly recommend hand excavation. Root mapping is used prior to development to locate structural woody roots so that the extent of root loss can be determined and minimised. We also use root mapping to investigate how tree roots affect foundations of buildings, retaining walls and other built structures. Roots are mapped down to a specified depth usually the depth of the proposed development. The investigation usually follows a linear transect, when roots are found we record and graphically map in AutoCAD their direction, the depth and their diameter. Our Tree e Book provides answers to some frequently asked questions with regards to engaging a consulting arborist.